Known as the "forests of the ocean", coral reefs represent an entire underwater ecosystem, teeming with life; but it is an ecosystem which is under threat. Climate change currently threatens mass destruction of our planets coral reefs. But compared with hundreds of years ago, how much coral has been lost? Writing in Sciences Advances, researchers from The University of Queensland and Colby College in the United States have looked at coral loss over a period of 240 years by comparing 18th Century nautical charts of the Florida Keys area with satellite images and other contemporary data. 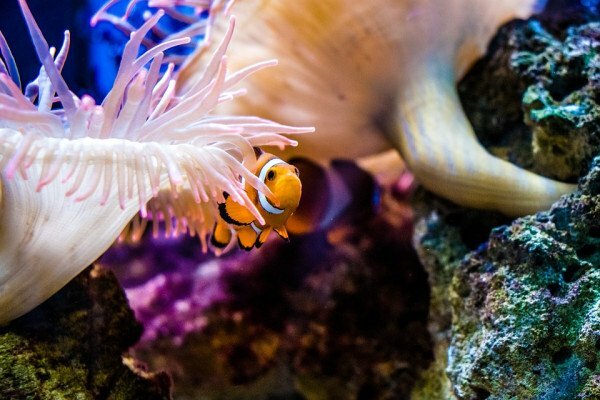 "We know a lot about coral reef change over that last several decades, but we really don’t know as much about them over the scale of centuries," explains Colby College study author Loren McClenachan. The British nautical charts obtained from the UK Hydrographic Office offered a window into the past, to a time when people first began to impact upon these ecosystems. According to McClenachan, when they compared these maps with modern satellite data, the maps aligned almost perfectly. A shocking discovery is that over half of the coral mapped in the 1770s does not exist anymore and had died off before modern-day ecologists could even begin to study it. It is difficult to pinpoint exactly when the coral began to disappear, but early in the 20th century there was a lot of human activity in the area that had the potential to impact the coral, including draining the freshwater Everglades system. So we have lost a lot more coral than we ever realised we had. We have lost food security in the multitude of fish species supporting island nations, we have lost protection from storms in the way coral reefs absorb the energy from big waves, and we have lost some of the most beautiful environments on our planet. Attempts to preserve our remaining coral reefs are underway. Florida Keys residents, McClenachan explains, are particularly active in conservation, engaging in coral out-planting, where coral is carefully grown in special nurseries before being taken out and attached to existing reefs. Other methods include protecting fish species that indirectly allow the coral to come back. "But the biggest thing we need to do is get a handle on climate change to prevent the waters from warming." In stark contrast, during the 18th century, coral reefs represented a threat to the expansion of seafaring nations. The successful expansion of the British Empire was due, in part, to skilled cartographers who were able to map the waters to help crews avoid shipwreck on coral reefs. The cartographer responsible for creating the detailed charts used by McClenachan and her colleagues was a man named George Gauld. Gauld was outstanding even among British cartographers as he included a plethora of ecological data.